Regular readers of this blog will be aware of my abiding affection for the work of Mr D. Short of Horwich. Well he is back with his second album this year – the productive little devil. And as usual it’s bloomin’ marvellous – in fact i’d venture to say it’s his best yet. The scene is set with with the opening rambunctious and rather joyous “Every Now and Then” (previously released as part of a free download from Salford City Radio) which hits you with a great garage rock sensibility – but, as is usual with Danny’s albums, he shifts the scene immediately with the gloriously elegaic/melodic “Check for Response” which is stuffed to the gills with sumptuous pop hooks and delightful picked guitar. Probably one of the songs of the year for me. This is followed by another beautiful tune “Don’t Waste Your Time” – a wistful ballad which reflects Dan’s love of early Genesis. It still amazes me that he records all of this at home on his own – the production values are excellent. Another track from the “Every Now and Then” EP is the utterly marvellous “Your Kingdom” – once again a piece of memorable pop music – the nearest box I can put this into is Nick Lowe at his best – or Robyn Hitchcock when he isn’t taking himself too seriously. Mind you Dan shakes the whole thing up with a guitar drenched middle eight which sets it apart from those two. “Falling from the tree” was previously released on the free download “Reputation EP” from March of this year. Danny mixes beautiful song writing with ambient sounds to create a unique and memorable sound – the experimental side of his work occasionally pokes through the mix. The gentle acoustic ambience continues with “Plan C” which structurally reminds me both of The Beatles and ELO. This is followed by the trademark Short song sound with “Resolutions” which builds into an interesting climax. “Mexicoconut” takes the album towards a more left field area with psyche vocals, plucked guitar, chittering noises and and altogether more experimental feel – further demonstrating the breadth of Danny’s work, interesting lyrics as well on this one. “Tears of Joy” utilises standard pop song chord changes and buries them in layers of very interesting sounds – Dan out-Wilson’s Brian Wilson, and out-Spector’s Phil Spector on this one – and a lovely signature guitar solo, picking up the melody in the middle, makes this a perfect piece of pop magic. The magic continues with “A Question”, which picks up the tempo, and once again is full of hummable melodies. The good old Casio VL-Tone gets an outing on “What Can The Matter Be” which is as equally memorable as it is weird, with its alien sounds and la-la-la chorus. Dan admonishes himself at the beginning of “Everyone Moves On” which is the most perfect piece of pop writing that i’ve heard in a long while. Just basic good quality song writing effortlessly delivered. Things get a little more serious for the closing three tracks – “Millions” is an altogether more intense piece against what has come before on the album – breathtaking production with layers of guitars and keyboards creating a great orchestral feel to the track. “Research In Empty Rooms” gets closer to the experimental and improvisational work he delivers as “DDS” – a laminal ambient piece in an early Eno style which develops organically – the only instrumental on the album. The closing “Come Find Me” is more of the same – drifiting ambient sounds with Danny singing a plaintive melody soaked in reverb. Being fortunate enough to get a review copy I get five extra tracks to listen to – not sure if these are available with the Bandcamp release but I got a selection of earlier work which has been remixed, a mono version of “Falling from the Tree” and the lengthy and extremely experimental “Fourth of Four” which mixes Hawkwind synth sounds with AMM chittering and then morphs into something in the Richard Youngs area. All excellent bonus tracks which add to the overall value of a great album. All in all a marvelous piece of work from Mr Short and a bargain at two and one half of your pounds. If you want to treat someone to a great album for Christmas I suggest you purchase this for them. 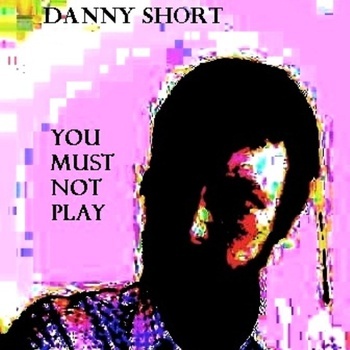 Posted on December 5, 2011 by HalfEdgeMediaPosted in Album ReviewTagged Danny Short. Next Next post: a hard, smooth, finish with diagonal ribs……..